$18,670 IN OPTIONS! CLEAN CARFAX! 15 MB SERVICE RECORDS! $83,475 STICKER! LIKE-NEW! WARRANTY! 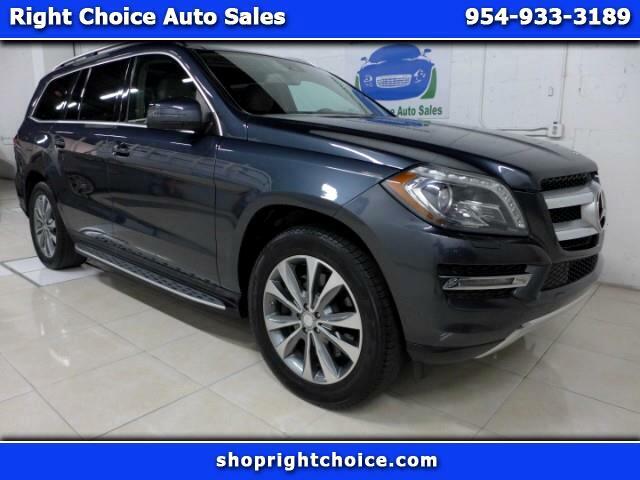 WE CAN DELIVER THIS 2013 MERCEDES-BENZ GL450 TO ANY DRIVEWAY IN THE COUNTRY! VISIT OUR WEBSITE AT WWW.SHOPRIGHTCHOICE.COM TO SEE 95 PHOTOS, THE FREE CARFAX, AND MORE INFO ON THIS TREMENDOUS DEAL! THIS INCREDIBLE GL450 IS ABSOLUTELY LOADED WITH $18,670 IN OPTIONS (BASE GL450 HAS A $63,900 STICKER- THIS ONE IS $83,475), HAS A CLEAN CARFAX (NO ACCIDENTS), HAS 15 MERCEDES-BENZ DEALERSHIP SERVICE RECORDS, AND IS A COMPLETE STEAL AT THIS PRICE! DO NOT MISS THIS DEAL!